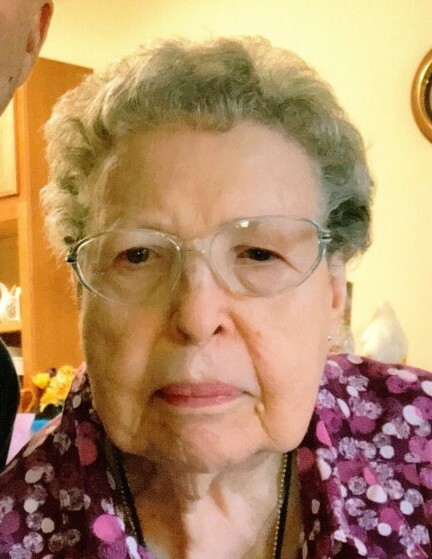 Stella R. Laugesen, nee Davis, 90, of Waterloo, IL, died November 25, 2018, in Waterloo, IL. She was born August 24, 1928, in Blanco, NM. She is survived by her children James Glynn and Stephen Glynn; grandchildren Andrew (Katie) Glynn, Rachel (Scott) Knoechel, Molly (Tim) Stegink, Benjamin Glynn, Jimmy Glynn, and Rebekah Glynn; 16 great grandchildren; sister Louise Riella; stepdaughter Fay (Fritz) Michaelis; and stepgrandson Tony Trurelli. Stella was preceded in death by her mother Ramona (nee Valencia) Worley; 1st husband Jack DeChristopher; 2nd husband Silas Glynn; 3rd husband Leon Laugesen; and sister Jeannie Rothacher. She was a member of Immanuel Lutheran Church.